A new Jeep Wrangler is on sale, redesigned for the first time in more than a decade. For the 2018 model year only, it overlaps with the old Wrangler, which remained in production until April, 2018. The old Wrangler is a JK, while the new Wrangler is the JL. Initially, the new Wrangler is available in 2-door and 4-door Unlimited body styles, and in Sport, Sport S, Sahara, and Rubicon trim levels. Multiple drivetrain and top configurations are offered to help custom-tailor the Wrangler to specific purposes and preferences. Though it is substantially better than the Wrangler JK, the new Wrangler JL still isn’t as refined as a typical crossover SUV, or as quiet, or as comfortable, or as easy to get into and out of, or as easy to load with cargo, or as fuel-efficient, or as smooth to drive on pavement. After all, it is purpose-built to go places few other vehicles can, and inherent to that mission are compromises in terms of daily drivability. If you’re in love with the idea of buying a Wrangler, but you aren’t embarking upon ownership with knowledge and acceptance of this SUV’s unique characteristics when used as a kid-shuttle, or a commuter-car, or a mall-runner, or a road-tripper, then you are likely to be happier in a Jeep Cherokee or Grand Cherokee, or perhaps a crossover SUV of some kind. With that in mind, for this review, J.D. Power evaluated a Jeep Wrangler Unlimited Sahara. The Sahara is the most civilized of the new Wranglers, and is the only one available with a full-time 4-wheel-drive system that doesn’t require use of the transfer case (it does offer 2-Hi, 4-Hi, and 4-Lo settings for people who know what to do with them). The test vehicle was loaded with options, too, escalating the base price of $39,290 to $51,170, including the $1,445 destination charge. Upgrade highlights included an automatic transmission, Selec-Trac full-time 4WD, a body-color hardtop with interior headliner panels, most of the option packages, leather seats, and remote proximity entry. Before we discuss the results of our evaluation of the Jeep Wrangler, it is helpful to understand who bought the previous version of this SUV, and what they liked most and least about their Wranglers. Most Wrangler owners are men (64%) with a median age of 49 years and an annual household income of $121,951. The Wrangler has broad generational appeal, with 28% of owners identifying as Generation Y, 34% as Generation X, and 36% as Baby Boomers. Wrangler owners most frequently call themselves ‘Working Utilitarians’ as far as a buyer segment. Buying ‘American’ is important to Wrangler owners. 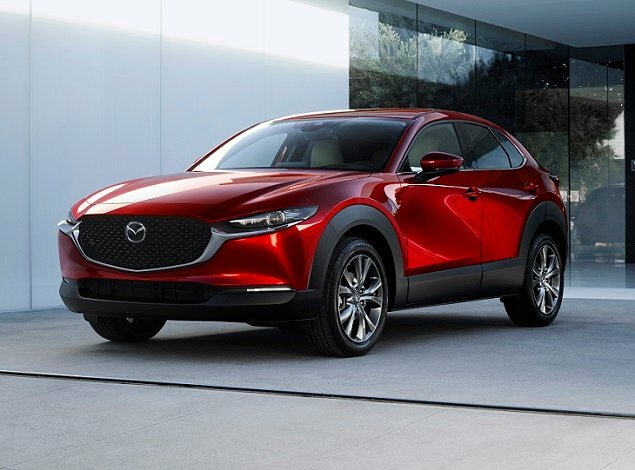 Compared to the broader Compact SUV segment, 80% of them agree that buying a vehicle from a domestic company is important compared to 66% of owners at the segment level. Wrangler owners are significantly less concerned about high maintenance costs (82% vs. 91% for the segment), environmental friendliness (39% vs. 58%), fuel economy (29% vs. 68%), and safety features (68% vs. 79%). They are also less concerned about quality of workmanship (90% vs. 93%), reliability (93% vs. 97%), and responsive handling and acceleration (84% vs. 88%). At the same time, 89% of Wrangler owners agree that they like a vehicle that stands out from the crowd (vs. 66% for the segment), while just 19% agree that a vehicle is just a way of getting from place to place (vs. 43%). They also agree more often that their friends and family think of them as someone who knows a great deal about autos (62% vs. 54%). Owners report that their favorite things about the previous Wrangler were (in descending order) the exterior styling, interior design, climate controls, storage and space, and visibility and safety. Owners indicate that their least favorite things about the previous Wrangler were (in descending order) the driving dynamics, seats, engine/transmission, infotainment system, and by a wide margin, fuel economy. In the sections that follow, our expert provides his own perceptions about how the Jeep Wrangler measures up in each of the 10 categories that comprise the 2017 APEAL Study. Jeep knows better than to build a Wrangler that doesn’t look like a Wrangler. This SUV’s styling and image are what sell it, so it is not surprising that the JL is instantly identifiable for what it is. Some people might not like certain details of the new design, but overall few Wrangler owners are likely to be unhappy with it. One of the most significant improvements for 2018 is a trifecta of new top designs. The zipperless soft top, in standard or available premium fabric, is much easier to remove and re-install. It can also be configured bimini-style for shade combined with an open-air feel. The optional hard top comes in black or body color, and features lighter-weight removable roof panels and new removable rear side window panels. New optional headliner panels help to make the interior quieter while better retaining heat or air conditioning. New for 2018, a Sky One-Touch power-operated top debuts. Its basically a hardtop with a retractable canvas center panel, providing maximum ease of use to transform the Wrangler JL from a closed SUV into an open convertible. As was true before, the Wrangler’s doors are removable. Made of aluminum, they are lighter in weight and easier to detach, so it’s never been simpler to take them off. Inside, the new Wrangler retains its hose-me-out look and feel. However, the materials are upgraded, and in the Sahara test vehicle soft-touch material covered the dashboard, upper front door panels, the door armrests, and the center console, bringing an added level of refinement and sophistication. Furthermore, there is a genuine sense of style to the dashboard, especially if you like circles. And build quality impresses. Grab the transmission or transfer case levers, and they feel rock solid, imparting a sense of durability. As was true before, most controls are grouped in the middle of the dashboard, save for the power mirror and door lock switches, which reside on the Wrangler’s removable doors. Large stereo volume and tuning knobs flanks a climate control panel with an oversized fan speed knob, the entire collection sitting beneath the latest Uconnect infotainment systems. Steering wheel controls operate the driver information center, cruise control, Bluetooth phone, and voice recognition systems, while power window switches are on the lower center portion of the dashboard, sitting between a 12-volt power outlet and USB connections. On the center console, a slot holds a smartphone between two cupholders. A “Screen Off” button shuts off the Uconnect infotainment system, underscoring that its presence is entirely optional. Seating was not high on the list of favorite features of the Wrangler JK, as reported by owners, and it is unlikely to improve with the new JL. Wrapped in a choice between water- and stain-resistant fabric and leather, they are rather flat and featureless. And while they lack side bolstering, I found them to offer good overall support during longer stints behind the steering wheel. The Wrangler Unlimited’s rear seat holds three people, making it a true 5-passenger SUV. Depending on how tall you are, and whether or not you’ve installed side rails on a Wrangler, getting in and out is easy or difficult. I’m six-feet tall, and I find it easy to climb aboard a Wrangler without side rails. The Sahara has them, however, which forced me to step wide into and out of the Wrangler. And when they were coated with mud and dirt, so then were my pants. My wife is 5’6”, and she needs the side rails to get in and out. Even so, it isn’t easy for her to climb aboard, even with the sturdy windshield-pillar grab handle. At least the new Wrangler JL’s doors don’t loosely flop open and closed on straps like they did on the old JK. That design was particularly problematic with children, who would either let them bang into adjacent vehicles. If the Wrangler was parked on a hill, they could also close on little flip-flop-clad toes. When it came to the old Wrangler JK, people ranked the climate controls as their third most favorite aspect of the vehicle. That is highly unusual, especially given the Wrangler’s potentially drafty interior and its relative inability to retain heat and air conditioning. In any case, the new Wrangler JL ought to improve in terms of climate system performance, especially given the available heated front seats and heated steering wheel. When weather permits, of course, it is best to just open it up and let the outside in. Jeep significantly upgrades the Wrangler’s infotainment offerings for 2018, which ought to improve this component’s standing in the next J.D. Power APEAL Study. The basic system features a 5-inch touchscreen, Bluetooth connectivity and music streaming, Siri compatibility, and satellite radio. An upgrade that includes Apple CarPlay and Android Auto also comes with a larger 7-inch touchscreen display. My test vehicle had the top version, installing an 8.4-inch display and full Uconnect functionality including an Off-Road Pages performance tracking feature, a navigation system, a Wi-Fi hotspot, and subscription services including an SOS function. It was paired with an 8-speaker, 552-watt Alpine premium sound system that turned the Wrangler into giant, rolling portable speaker. This top system also features a “breadcrumb” function that tracks the way you ventured into the wilderness so that you can easily return to civilization. Given the Wrangler’s off-roading capabilities, this is priceless. Overall, the system functions well, though direct sunlight has an adverse effect on visibility. There probably isn’t a way to get around that, which makes it especially helpful that using it isn’t a necessity. In any case, from its user-experience to its wide range of features, the Uconnect 8.4 with navigation setup is satisfying. Though a Wrangler Unlimited is a sizable vehicle, it carries about the same amount of cargo as a larger compact crossover SUV. Behind the rear seat, the Wrangler 4-door holds 31.7 cu.-ft. of cargo. Fold and tumble the rear seats to maximize space to 72.4 cu.-ft.
Loading is not easy. First, you swing the tailgate to the right, or curbside. If you are parallel parked, or another vehicle or obstacle is close to the Wrangler’s rear end, you’re going to have difficulty getting the door open. With a soft top, you load beneath the plastic rear window, restricting the size of cargo that can be carried. With the optional hardtop, you flip up the glass rear window, making your life significantly easier. Despite such difficulties, Wrangler owners appear to accept this state of affairs. Certainly, the box-shaped cargo hold is practical, accommodating more than enough luggage for a family of four taking an extended road trip. I even hauled my daughter’s bike upright in the Wrangler, strapped to the rear rollbar with bungee cords. Within the cabin, storage space is restricted to the glove box, the center console bin, the cup holders, nets attached to the door panels, and a tray embedded into the top of the dashboard. Forward visibility is exceptionally good, and while the side mirrors are somewhat narrow, a new optional blind-spot monitoring system is quite helpful when making lane changes. It is easier to reverse the new Wrangler, too, thanks to the standard camera embedded into the spare wheel hung on the tailgate. Jeep also offers rear parking assist sensors for the Wrangler JL, and when equipped with a blind-spot monitoring system this SUV includes a rear cross-traffic alert system. Jeep has engineered the new Wrangler’s architecture with more high-strength steel than ever before, with the goal of improving the SUV’s crash protection. As this review was published, however, neither the NHTSA nor the Insurance Institute for Highway Safety (IIHS) had performed testing on the new JL. It remains a body-on-frame design with substantial 9.7 inches of minimum ground clearance, however, so the rollover resistance rating is a middling 3 stars, according to the federal government. Jeep has announced four different engines for the new Wrangler. 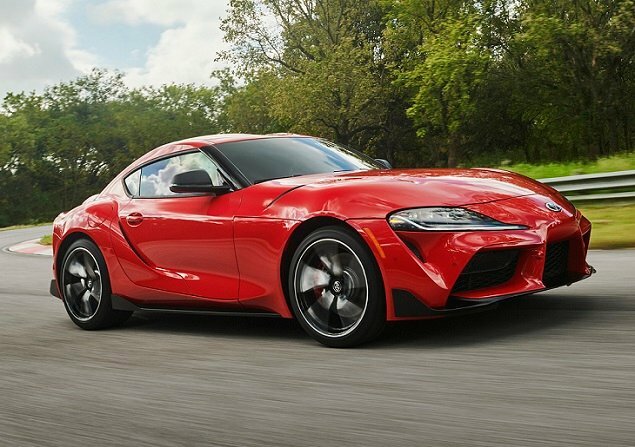 First up is a 3.6-liter V6, carried over from the previous model and making 285 horsepower at 6,400 rpm and 260 lb.-ft. of torque at 4,800 rpm. A new turbocharged 2.0-liter 4-cylinder engine is an option, delivering 270 hp at 5,200 rpm and 295 lb.-ft. of torque at 3,000 rpm. It is a mild-hybrid engine featuring Jeep’s new eTorque technology, which includes automatic engine start/stop, extended fuel shut-off during coasting, electric assist to compensate for turbo lag, and more. Jeep also plans to offer a 3.0-liter turbo-diesel V6 in the new Wrangler, the same one that is optional in the Grand Cherokee, starting in 2019. 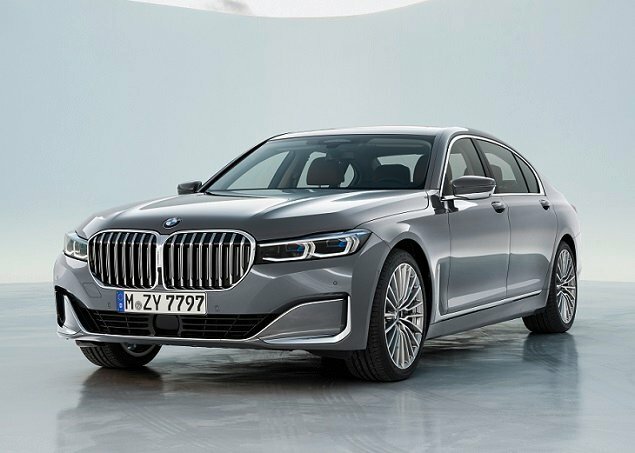 And a plug-in hybrid variant is on the way for 2020. A 6-speed manual transmission is standard with the V6 engine. An 8-speed automatic transmission is an expensive option with the V6, and is required in order to get the new eTorque turbocharged 4-cylinder. Three 4-wheel-drive systems are also available. Command-Trac is standard for the Sport, Sport S, and Sahara, while a more robust Rock-Trac system is included with Rubicon trim. Optional for the Sahara, Selec-Trac is a full-time 4-wheel-drive system designed for Wrangler owners who prefer not to wrestle with a transfer case. Whew! That’s a lot to digest. My test vehicle had the V6, the automatic, and Selec-Trac. The full-time 4WD setting is especially helpful when roads are wet, eliminating the rear-wheel slip common to Wranglers, but my favorite thing about this drivetrain was the new 8-speed automatic. It is indescribably better than the old 5-speed auto it replaces, and it makes great use of the V6’s power band. As a result, the Wrangler feels like it has genuine guts. It accelerates effortlessly, and even sounds more refined while doing it. While the optional eTorque turbo and upcoming diesel and plug-in hybrid powertrains are compelling, if you elect to stick with the basic V6/automatic setup, you’re unlikely to be disappointed. The new Wrangler is more fuel-efficient, too. The old JK was expected to get 18 mpg in combined driving, and my personal experience driving them typically produced a number lower than that. The new JL is EPA rated to return 20 mpg in combined driving. My Sahara test vehicle didn’t achieve that number, but on my test loop it did average 18.7 mpg. Given this performance, I expect fuel economy to remain at the bottom of the list in terms of satisfying the new Wrangler’s owners, even if they don’t make efficiency a top consideration when choosing this Jeep. Beyond the added refinement, liveliness, and simplicity of my Sahara test vehicle’s powertrain, Jeep has upgraded the Wrangler’s driving dynamics. Aside from a re-tuned solid-axle, 5-link suspension designed to improve the Wrangler’s ride and handling on pavement without restricting the SUV’s off-roading capability, the JL gets electro-hydraulic steering with variable assistance depending on vehicle speed, steering speed, and steering angle. This means the Wrangler is easier and more pleasurable to drive in a variety of situations. The greatest benefit of the new steering is on the highway, where the Wrangler’s straight-line stability is dramatically improved. The loose disconnectedness of the old JK is gone, replaced by resolute on-center feel and improved lane discipline. Crosswinds still buffet the Wrangler, which in spite of its improved aerodynamics should come as no surprise, but as far as this Jeep’s demeanor in everyday driving environments is concerned, this ought to resolve to some degree previous complaints about how the SUV drives. Furthermore, the lighter and stiffer vehicle architecture translates into an improved ride, more secure handling, and less jitteriness than before. The Wrangler still drives like a Wrangler, of course, which means it regularly feels too bouncy and bumpy in comparison to a typical crossover SUV, but the changes to the platform, the suspension, and the steering lend the new JL a far more secure feeling in its driver than the old JK could ever hope to muster. For the record, I took the Sahara to an off-highway vehicle park in Southern California. I found a trail that required use of 4-Lo. I traveled it without having a heart attack or damaging the paint or bodywork. Mission accomplished. Before you buy a Jeep Wrangler, you need to understand that this is not a typical SUV. Jeep designs and engineers the Wrangler to go as far away from the pavement as is possible, to travel terrain that few, if any, other vehicles could traverse. The underlying hardware necessary for going where few people have gone before results in dynamic compromise when the Wrangler is used for mundane tasks like driving to the school, to the office, to the mall, and to Grandma’s house in a neighboring state. Furthermore, the Wrangler is a convertible featuring the aerodynamic qualities of a brick wall. That makes it loud inside, and drafty. And while the new tops are much easier to use than before, they’re still not as easy to use as a typical drop-top, or as air-tight and an integrated metal roof. Finally, the Wrangler is steeped in history. It has removable doors, a folding windshield, high doorsills, and a swinging tailgate with the spare tire mounted on it. These also create compromise in various ways. If you are not prepared for the unique ownership experience associated with a Jeep Wrangler, shop elsewhere. If you understand and accept that a Jeep Wrangler is unlike any other SUV you can buy, prepare to enjoy one of the most vehicles you’ve ever owned. Fiat Chrysler Automobiles supplied the vehicle used for this 2018 Jeep Wrangler review.